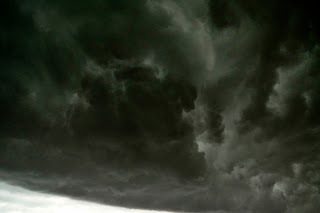 Perhaps you saw this wall cloud move into the Omaha area during the college world series. We just happened to be ending our photograph club meeting when someone said - hey the tornado sirens are going off. We ran to the door and I said - Hey, everyone grab your cameras!! Perhaps not the smartest thing to say - but what else could you say at that moment. There were no tornadoes - just some high winds. But still very cool stuff.